Recent years have generated a huge increase in the number of research and scholarly works concerned with teachers and teaching, and this effort has generated new and important insights that are crucial for understanding education today. This handbook provides a host of chapters, written by leading authorities, that review both the major traditions of work and the newest perspectives, concepts, insights, and research-based knowledge concerned with teachers and teaching. Many of the chapters discuss developments that are international in scope, but coverage is also provided for education in a number of specific countries. Many chapters also review contemporary problems faced by educators and the dangers posed by recent, politically-inspired attempts to `reform' schools and school systems. 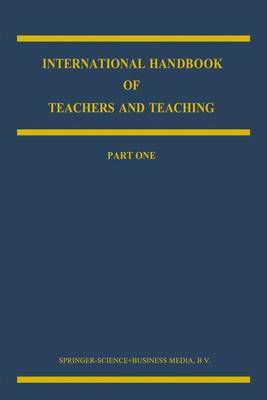 The Handbook provides an invaluable resource for scholars, teacher-educators, graduate students, and all thoughtful persons concerned with the best thinking about teachers and teaching, current problems, and the future of education.